Seattle Central Library redefines the library, no longer exclusively dedicated to the book, but as an information store where all potent forms of media are presented, creating a civic space for the circulation of knowledge in all media. The building is divided into eight horizontal layers, each varying in size to fit its function. A structural steel and glass exoskeleton skin unifies the multifaceted form and defines the public spaces in between. The library’s various programs are intuitively arranged across five platforms and four flowing in between planes, which together dictate the buildings distinctive faceted shape. 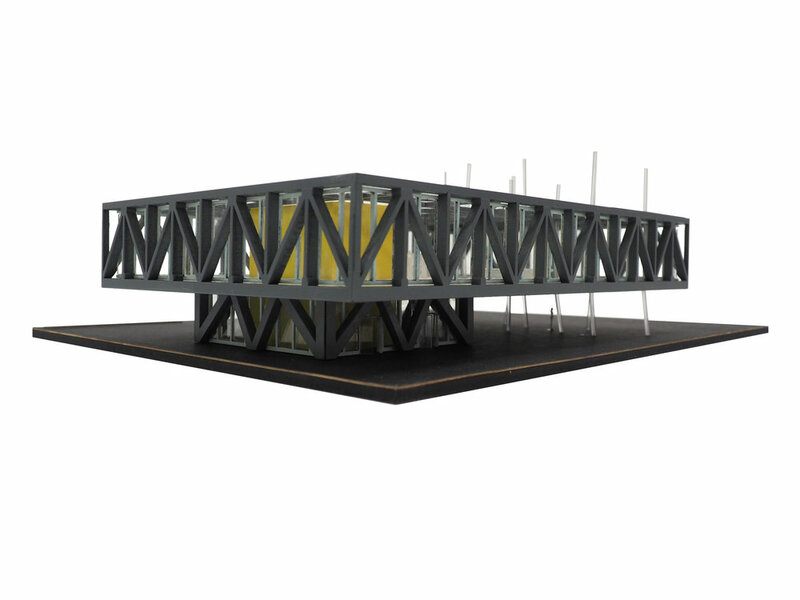 The scale and function of the building are expanded through the generic base square and rectangular cantilevered form. The base of the expansion anchors the structure above, with the columns providing vertical and lateral support for the cantilevering form. The building already explores small green spaces, throughout the building with an open accessible roof top. Throughout the addition the new form creates a plant library/ multi use space. The expansion at times can appear heavy and dominate yet spatially feel intimate through the theatrical use of the structure and softscaping. Overall generating new relationships within the urban context, perhaps as a new form of architecture.